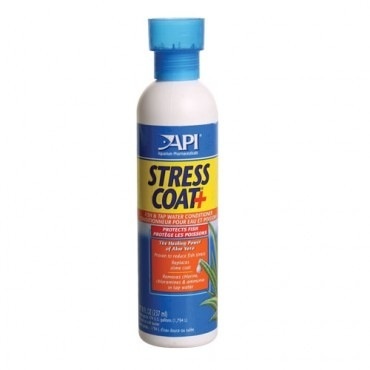 Aquaria AP STRESS COAT 8OZ - Rick's Pet Stores Inc.
A patented formula containing aloe vera, nature's liquid bandage, to protect and heal fish. Forms a synthetic slime coating on the skin of fish. 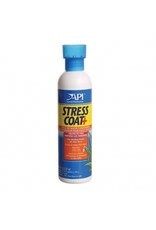 Replaces the natural secretion of slime that is interrupted by handling, shipping, fish fighting and water changes.